In case you have been living under a rock, there is this phenomenon called drones going on. They are everywhere, and range from tiny insect-sized devices the size of a soda can top to large, load-bearing monsters that are being considered or actually used for everything from package delivery to first-aid supply drops in war zones. The speed, range, ease of control, and flight time all vary, and price ranges from under $50 to well over $2000. 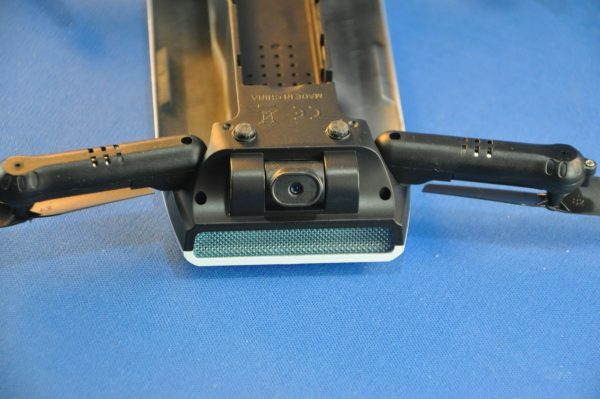 We have reviewed a few here, but none that I have seen so far that hit that sweet spot between affordability for a toe-dipper, fun of flying, and ease of getting started. 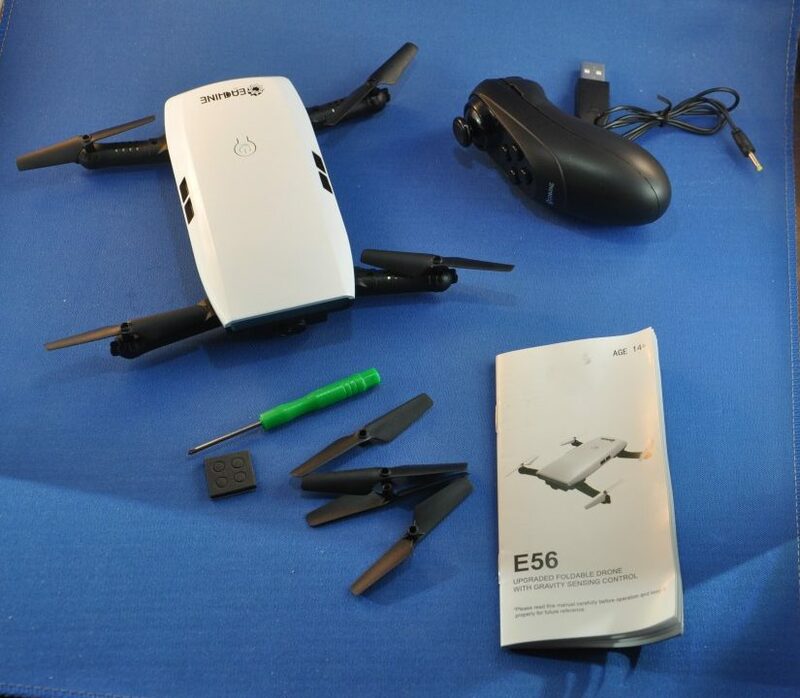 EACHINE sent me their E56 model to test a few weeks ago, and I’ve found it may just be the beginner’s model you’ve been looking for. 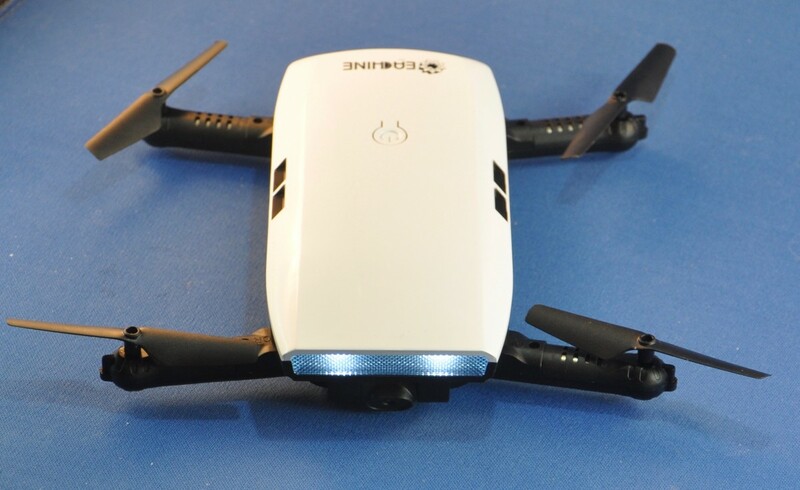 The E56 is a quad-copter, with arms that fold out and friction-lock into place with a nice, satisfying click. Folding up the legs is just as easy, and they nest perfectly against the body. Folded up, the body measures 5.75” x 2.75” x 1”, which fits into most of my shirt pockets easily. The unfolded wingspan is about 8”. The unit is very light, at only 3 ounces flight-ready. The battery weighs .7 oz. The only other thing you need to fly this little guy is a smartphone. Sure, there’s a thumb-guided controller included in the package, but the smartphone app is much more fun, plus you get to see what the drone’s camera is seeing as you fly, and it records directly to your smartphone’s camera roll! I took it out to a field near my house that is a former elementary school and now houses a teacher training facility. On the weekend, the place is deserted, and I sometimes take our dog here for frisbee and general running fits. Probably two acres of flat, tree-less grass with no power lines. Neighbors in the area use it to practice golf shots as well. Here is the first in-flight movie I made with the E56. I also made another that day, trying to turn and get more perspective on the area. 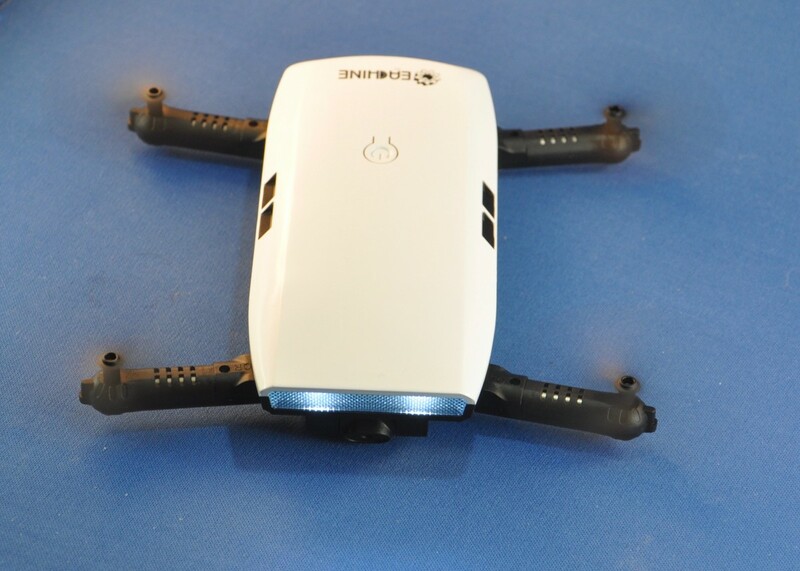 The drone has it’s own WiFi signal, which you lock into with the Wifi on your smartphone. Then, you get the generic UI to go up/down, or forward/back, sideways. 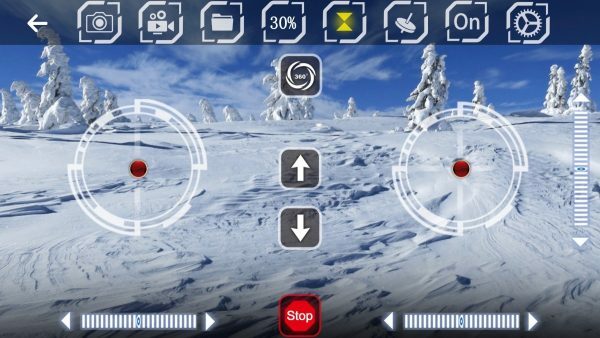 There are camera and other controls across the top. I found the E56 to be fairly responsive when connecting, but a little less so the further away it got from my iPhone. I tried some tests in my driveway, indoors, and in the previously mentioned field. The field, with no other competing wifi signals, was by far the best experience, but I never really felt totally in control. I would send a signal to turn and sometimes, it would. But it just as often would ignore the command. The “STOP” command was always obeyed, however, and brought the drone straight down where ever it was when you hit the button. The software got an update the other day, but I’ve not been able to retest it yet. If I find it a huge difference, I will update this review. 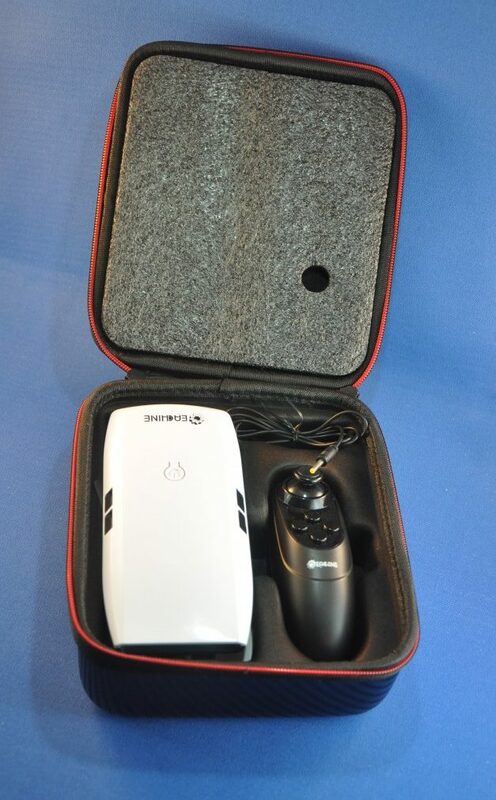 While the fun and ease of use would seem to make it an easy pick for a younger UAV pilot-in-training, the fiddliness and lack of total control makes me not recommend it for someone who may not fully understand what it can do to someone, say, driving a car, to see a drone bearing down on them. One thing it did for me, however, it has kindled my interest in drone flying generally. I have already found a more beginner-friendly model that I will be testing early in the new year. For the price of this unit, however, it’s an easy decision to grab it and play with it enough to see if you want to take that curiosity further. 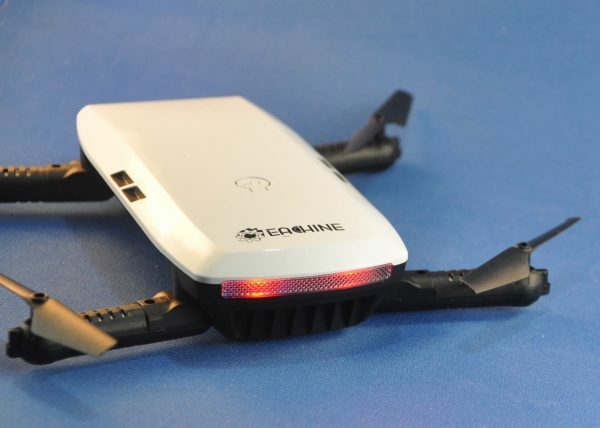 Source: The sample of this product was provided by Eachine.